What’s Wrong with the World is privileged to present the reader with an excerpt from the newly-released Defending the Republic (© 2008 ISI Books), a collection of essays honoring the eminent scholar George W. Carey of Georgetown University, edited by Bruce P. Frohnen and Kenneth L. Grasso. Professor Carey is the kind of scholar that anyone serious about a renewal of Conservatism will want to study with care. Few men have done more to explore and explicate the true contours of the American political tradition; while many men have earned far more renown for blurring, confounding, or even simply falsifying that tradition. It does not diminish his stature to say that Carey has lent his mind and hard work, in part, to the project of correcting the errors that Liberals and Progressives have thrown up like ramparts around the study of American political science. If anything is diminished by this fact, it is the field of political science itself, which has spent several generations chasing after charming sophistries, apparitions of hard science precision, and every Ivy League fashion under the sun. The Federalist has been Professor Carey’s particular specialty. Against the common view of that work as little more than a piece of propaganda, designed simply to effect ratification of the Constitution, with and eye to specific constituencies and concerns, like some focus-group tested political speech from our own day — against this view Professor Carey has brought his considerable talents to bear. Far from a mere PR project, The Federalist is the source and sustainer of our constitutional tradition, and Conservatives who wish to recover that tradition would do well to begin their work with Carey’s sound teaching. Professor Carey was also, of course, a frequent collaborator with Willmoore Kendall, before the latter’s untimely death, and together they produced several fine essays and what the editors of this volume call “one of the very few truly essential works in the study of American political thought,” The Basic Symbols of the American Political Tradition. If you haven’t read it, do so at your earliest convenience. It is a slender but formidable book, an exemplar of Kendall’s inimitable writing style, and the kind of bold but accessible and surefooted scholarship that academia aches for. A half-dozen clever snares laid for us by the Left could be disarmed, were Conservatives to embrace its theoretical framework. The selection below is taken from the Editors’ Introduction. Many thanks to ISI for allowing us to excerpt it. For over four decades, George W. Carey has engaged students, scholars, and educated laymen in a searching conversation regarding the nature and right ordering of public life. He is perhaps best known as an expositor of conservatism, not because most of his writings have addressed that philosophy and persuasion but because his method and his vision of the good capture what is best therein: prudence in the service of the tradition of natural-law thought that lies at the heart of Western civilization. 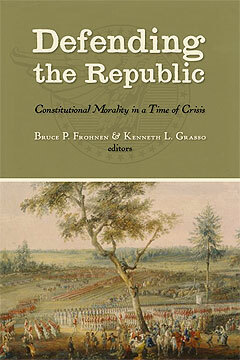 Whether discussing the workings of American political institutions, the nature and roots of social and political traditions, or the moral underpinnings of constitutionalism, Carey consistently has argued for a practical understanding of politics and its limits, along with an integrated vision of human sociability and its historical, political, and moral constituents. Born in 1933 as the son of a well-known professor at the Northwestern University School of Law, Carey grew up in the Chicago suburb of Wilmette, Illinois. As an undergraduate at Northwestern he first encountered Charles Hyneman, one of America’s most prominent political scientists, who is remembered today primarily for his writings on American political thought. Hyneman’s commonsense approach to the study of politics, his openness to serious discussion of varying philosophical viewpoints, and his concern to understand self-government, the rule of law, and ordered liberty had a far-reaching impact on Carey. Through Hyneman, Carey met another thinker whose work would profoundly affect the evolution of his own thought: Willmoore Kendall, the combative conservative icon. Taught by Kendall to question the liberal platitudes offered by most of his professors, Carey began to challenge them in print even before entering graduate school. In 1957, after graduating from college Phi Beta Kappa with high honors and serving a stint in the Marine Corps, Carey commenced graduate work at the University of Illinois, where he studied municipal government and intergovernmental relations under Charles Kneir. He transferred to Indiana University, where he worked informally with Hyneman, who was teaching there. In 1961, Carey completed his doctoral dissertation, which examined the implications of political equality in theories of democratic government and pointed out the potentially destructive nature of equality when held as an ideal. Carey then immediately took up teaching duties in the government department at Georgetown University—a position he has never left, despite several offers. He did spend the 1964–65 academic year as a Visiting Associate Professor at Indiana, where he worked with Hyneman in putting together A Second Federalist: Congress Creates a Government (1967). With contents taken from congressional debates during the early years of the republic, this volume fleshes out the original understanding of the Constitution by showing how that document was interpreted in the course of establishing the actual institutions of American government. During the early 1960s, Carey developed a close working relationship with Willmoore Kendall. The collaboration, continuing until the latter’s death in 1967, bore fruit in several cowritten articles, including “Towards a Definition of Conservatism,” “The ‘Intensity’ Problem in Democratic Theory,” and “The ‘Roster Device’: J. S. Mill and Contemporary Elitism.” Carey and Kendall also coedited a volume, Liberalism Versus Conservatism: The Continuing Debate in American Government (1966), and an interpretive introduction to a new edition of The Federalist. Although he declined to assume the directorship of the program in politics and literature that Kendall had founded at the University of Dallas and was directing at the time of his death, Carey accepted the invitation of Kendall’s widow to expand into a book a series of lectures Kendall had delivered at Vanderbilt University in 1964. The result, The Basic Symbols of the American Political Tradition (1970), is one of the very few truly essential works in the study of American political thought. Consisting of edited versions of four Kendall lectures and four additional chapters written by Carey (one of which incorporates material from an additional Kendall lecture), Basic Symbols employs the methodology developed by Eric Voegelin in his exploration of the historical unfolding of the American political tradition. Carey is a prolific writer. In the decades since the appearance of these works, he has published several books, including The Federalist: Design for a Constitutional Republic (1989), In Defense of the Constitution (1995), and A Student’s Guide to American Political Thought (2004). He has edited or coedited more than a half-dozen others — including Community and Tradition: Conservative Perspectives on the American Experience (1998), Freedom and Virtue: The Libertarian/Conservative Debate (1998), The Post-Behavioral Era: Perspectives on Political Science (1972), The Political Writings of John Adams (2000), and The Federalist: The Gideon Edition (2001). His many articles have appeared in such major political science journals as the American Political Science Review, Journal of Politics, the Western Political Science Quarterly, and the Review of Politics, as well as in more popular publications including National Review, the Wall Street Journal, Modern Age, the Intercollegiate Review, the American Spectator, and the University Bookman. A longtime member of the board of trustees of the Intercollegiate Studies Institute and Liberty Fund, Inc., he also served as a member of the National Council on the Humanities from 1982 to 1988. From 1971 until 2005, Carey served as editor of the Political Science Reviewer (PSR), where he continues as editor emeritus. Published annually, the PSR consists of article-length reviews of classic and contemporary works in political science, broadly conceived. It has sought in particular to foster in-depth examination of works that the contemporary discipline of political science has largely neglected. In the late 1960s and early 1970s, the same concern for the state of the discipline of political science that had inspired Carey’s work at the PSR motivated him to join forces with Theodore J. Lowi, a prominent political scientist and outspoken social democrat. Together they led a successful effort to force the American Political Science Association to open its meetings to presentations by scholars who did not share the commitment to the statistical approaches that dominated the profession at the time. Basic Symbols, which Carey has explicitly stated reflects both his own and Kendall’s thought, offers Carey’s most extended critique of the “official literature” and his most complete account of the American political tradition as a whole. Here he employs the methodology pioneered by Eric Voegelin. Voegelin had argued that a people expresses its self-understanding (in other words, its “political tradition”) in public documents through “symbols” or key concepts such as self-government. The people thus expresses its “own understanding of its place in the constitution of being and its role in history, of what it calls itself to be and do as it lives its life as a political society.” It expresses its own understanding of its members’ “relation . . . to each other, then to the political authority whose commands they obey, and then, finally, to that . . . which is above and beyond all human beings.” These symbols, Voegelin argues, “develop.” They tend to become progressively more complex — in Voegelinian terminology, they are “differentiated” — over time. Over the course of history, moreover, a break in a people’s self-understanding is always possible. Such a break means that a society has repudiated or radically reinterpreted its old symbols, thus bringing into being a new political tradition. To understand a people’s political tradition, therefore, it is necessary to explore its public documents and to trace the evolution of the symbols these documents articulate. From this starting point, Basic Symbols contends that the American political tradition can be understood only by a return to its beginnings. Both historically and theologically, these beginnings lie in Puritan politics and reformed Protestantism. To be properly understood, the Declaration, Constitution, and Bill of Rights must be read against the backdrop of earlier documents such as the Mayflower Compact, Fundamental Orders of Connecticut, and Massachusetts Body of Liberties. When read in this context, Basic Symbols argues, these documents make it clear that the central commitments of the American political tradition are not to individual rights and equality but to self-government under God: to “self-government through deliberative processes” under “a higher law . . . which can be used as a standard by which to judge . . . the determinations of . . . law-making authorities.”19 Thus understood, the American tradition is not individualist or egalitarian but organic and communitarian; its supreme values are not individual rights and equality but justice and the general good. The freedom it celebrates is not the freedom of the autonomous individual but the corporate freedom of the people to govern themselves through representatives of their own choosing. Over the course of American history, however, an alternative self-interpretation has emerged. This alternative has hardened into a kind of rival tradition with a new and revolutionary reading of the Declaration of Independence at its heart. Growing from seeds planted “sometime between the very early years of the Republic and the Civil War” and receiving its classic expression in the thought of Abraham Lincoln and “the so-called progressivist historians and political scientists,” this account of the American political tradition is rooted in the intellectual abstractions of the Enlightenment. It insists that America’s highest commitments are to freedom and equality. In sharp contrast to the original American tradition, moreover, one of the hallmarks of this tradition is its messianism. Setting “man up as God” by cutting him off “from anything and everything higher than himself,” its proponents “are terribly sure that they are right and everybody else not only wrong, but wrong because of their wickedness and perversity.” Believing that the ideal society can be built in this world and that it can be remade, the later tradition produces a fanaticism that rejects the consensual politics championed by the original tradition. Knowing that they are right, certain that they know the answers to the questions that have plagued societies throughout recorded history, its proponents have little use for persuasion and deliberative processes. our national genius expresses itself, not so much in the Constitution and The Federalist, but in an apostolic succession of great leaders: George Washington, Thomas Jefferson, Abraham Lincoln, Roosevelts I and II, and John Kennedy, each of whom sees more deeply than the preceding leader into the specifically American problem, which is posed by the “all men are created equal” clause of the Declaration of Independence. America will build a New Jerusalem which will be a commonwealth of free and equal men. In the decades since the publication of Basic Symbols, Carey has written about many different aspects of the American political tradition, including about the thought of individual founders and the political theory of the Declaration of Independence. Not surprisingly, however, given his insistence upon the importance of structures and his conviction that practical realities are more important than disembodied ideology, Carey’s most systematic and best-known work on the American political tradition centers on a detailed exegesis of the Constitution and The Federalist — in whose light, he tirelessly argues, the Constitution must be understood. It is here, in the statecraft of the founders, he suggests, that we can locate the critical center of the founding itself. The importance of the founders consists not in their ruminations on human nature or the principles of right political order in the abstract but in their efforts to establish a framework for self-government and ordered liberty in the American context — within the particular and concrete matrix of practices that constitute America. Perhaps the most important of his voluminous writings on this subject are The Federalist: Design for a Constitutional Republic and the collected essays of In Defense of the Constitution. In these volumes, as elsewhere, Carey vigorously defends both the coherence of The Federalist and the constitutional order it explicates as well as the centrality of The Federalist to a proper understanding of that order. In response to scholars like Douglas Adair, who contend that Publius suffers from “a split personality” and that Hamilton and Madison’s very real differences of opinion make it impossible to extract a consistent teaching from The Federalist, Carey argues that the difficulties modern scholars have had in determining the authorship of various essays illustrates the coherence of The Federalist as a whole. The very collaboration under the common nom de plume of Publius, he argues, suggests that Hamilton and Madison subordinate their individual personalities and opinions (including their personal political philosophies and pet constitutional ideas) in The Federalist. Their main task here is to expound the plan of government devised by the Philadelphia Convention, to articulate the consensus that emerged from the deliberations of the framers. The Federalist is essential to an understanding of the American constitutional order. Not only does it enable us to see the coherence of the Constitution itself, it also provides us with what Carey terms a “constitutional morality,” namely, a set of rules over and above those explicitly articulated by the Constitution. These rules then govern operation of the political equipment the Constitution establishes. In other words, they urge “upon the rulers and ruled alike [certain] standards of behavior” necessary to the proper functioning of the institutions established by the Constitution. Examples of this constitutional morality, according to Carey, include the practice of judicial review (which the founders conceived in very limited terms) and the responsibility of the legislature to display restraint and forbearance toward the other branches. Carey’s work on the Constitution and The Federalist revolves around the four themes of republicanism, separation of powers, federalism, and limited government. At the heart of his treatment of the first two topics is a concern to show that, contrary to the contentions of many modern scholars, the American constitutional order is neither rooted in nor reflective of a hostility toward popular government. It is true, Carey readily acknowledges, that this order reflects an animus against plebiscitary democracy; it is not designed to translate every impulse of public opinion immediately into law. But this does not mean that it rejects the ideal of popular government. On the contrary, the founders were explicit in stating that every branch of republican government must be chosen directly or indirectly by the people and be answerable to them. Carey shows that the founders’ intent was to develop a republican remedy to the pathologies that historically had afflicted republican government. More specifically, they were attempting to establish a republican system of government that could address two perennial but very different problems: the abuse of power by public officials, and faction. Indeed, Carey argues, one of the primary causes of contemporary scholars’ pervasive misunderstanding of The Federalist’s teaching has been their failure to appreciate the distinction between these two problems — and thus between Publius’s respective solutions to each. Neither the separation of powers nor the checks and balances the founders established were intended to thwart majorities or even to prevent the rule of majority factions. Rather, the system was instituted to address what Carey terms the problem of “governmental tyranny.” “Publius,” Carey writes, “did not regard” public officials “as being above the pursuit of their own institutional self-interest distinct and apart from interests shared by the general society.” Absent the separation of powers and checks and balances, officials would be free to “legislate to promote their own interests over those of citizens” while exempting themselves from its provisions. The purpose of the Constitution’s system of separation of powers and checks and balances was not to frustrate government by the people. Rather, in Publius’s famous formulation, it was to guard “society against the oppression of its rulers” by insuring “that the lawmakers are subject to the laws they promulgate . . . and that the citizens are subject only to known and fixed laws applied impartially, i.e., uniformly, equally and predictably.” Rather than thwarting majorities, the Constitution’s system of separation of powers and checks and balances was designed to safeguard the rule of law, to protect society from capricious and arbitrary government. Likewise, The Federalist’s celebrated theory of the extended republic does not seek to prevent popular rule but rather to protect democratic government from faction — a disease that had to that point been mortal. “The primary ingredient” in Publius’s solution to the problem of faction, Carey contends, is not a set of “formal institutions or procedures.” Rather, it is a “‘natural’ as opposed to man-made” aspect of America’s extended republic — of its very extensiveness and “the multiplicity and diversity of interests that are concomitant with” it. To begin with, the size and pluralism of the extended republic will pose serious obstacles to the formation of majority factions. At the same time, by affording a greater number of “fit characters” from which to choose their representatives and by posing obstacles to the successful use of practices like bribery, these factors will facilitate the election of representatives who possess “a wisdom and virtue that will enable . . . [them] to comprehend and pursue the ‘common good of the society.’” By the same token, insofar as “it is far less likely that the representatives from large constituencies will be beholden to one or a few dominant interests,” they increase the likelihood that representatives will have the independence necessary to bring their wisdom and virtue to bear on the issues of the day. Finally, in the legislature itself, the size and pluralism of the extended republic act “to distance, on any given issue that may come before the legislature, a significant proportion of the representatives from” any particular conflict before it. This distance in turn will create “a sufficient degree of detachment from the contending interests” to allow representatives “to bring reason and impartial judgment to bear in the resolution of the issue at hand.” It will allow them, in other words, “to serve more or less as a jury to judge the relative merits of the arguments and proposals advanced by the interested and contending parties.” Thus, while factious views undoubtedly will find expression in Congress, they will seldom carry the day in that to do so “they would have to convince” a body of representatives who “do not share the same attachment to their interests” and are for this reason equipped to approach the issue at hand in a more impartial manner. Beyond this, the representatives of a large, plural republic also are distinguished from their countrymen by their exceptional knowledge, intelligence, and character. Concerning what we have come to call federalism, Carey rejects the view that the Constitution and The Federalist seek to erect an impenetrable wall between state and federal power or even to delineate the precise boundaries between the two. To begin with, Carey maintains, Publius’s treatment of the necessary and proper clause makes it clear that he held a broad interpretation of the powers of the new national government. In Publius’s own formulation, “wherever a general power to do a thing is given, every power necessary for doing it is included.” At the same time, where, in Publius’s words, “it is impossible to foresee or define the extent and variety of national exigencies, and the correspondent extent and variety of the means which may be necessary to satisfy them,” it follows that “the powers of the national government are incapable of definition” — that is, incapable of precise specification. “To promote the national defense,” for example, the national government may have to “reach out and take over” what had “traditionally” been regarded as state functions. Specific constitutional limitations on the authority of the national and state governments would be enforced through what we have come to term judicial review. Important as judicial review was to the framers’ design, however, their understanding of it was far different from what prevails in contemporary American constitutional theory. For one, as Federalist 78 insists, judicial review does not imply a superiority of the judiciary to the legislative power, much less a superiority of the judiciary to the people. Even when “popular majorities” are “the impetus behind unconstitutional measures” in striking down such measures, the Court is simply asserting that “the constituent will of the people as expressed in the Constitution is superior to the political will of the people” as expressed in the ordinary lawmaking process. Finally, Carey maintains that Publius’s understanding of judicial review takes its bearings from empirical and normative assumptions that are today widely ignored or denied. Publius assumed that the provisions of the Constitution have an intelligible meaning; that the intentions of the framers can be discerned; and that judges are to be guided in constitutional interpretation by the “manifest tenor” of the Constitution rather than by its “spirit.” Judicial review ought to be employed only for laws that violate the “manifest tenor” of the Constitution — only in cases of an “irreconcilable variance” between a law and the clear meaning of the Constitution. Judges, furthermore, should be bound by strict rules and precedents; and in utilizing their powers courts should exercise judgment rather than will. connotes at least a choice among alternatives or goals with the concomitant capacity to . . . move toward the attainment of the choice. JUDGMENT would seem to have a more passive connotation because implementation or attainment are not so closely associated with it. . . .JUDGMENT and WILL do involve elements of choice. The exercise of WILL may or may not involve JUDGMENT but merely preference . . . In this sense an act of WILL can, and often does, partake of arbitrariness. . . . [In contrast,] JUDGMENT . . . is a considered opinion or decision that is the outgrowth of a ratiocinative process in which the relative factors . . . are juxtaposed, assigned priorities, and carefully weighed. The role of the courts was thus to be rather limited and passive. Higher levels of government were created not to absorb or replace lower levels but to assume responsibility for ends whose “scope or nature” made it impossible for them to be pursued “effectively and efficiently” by lower levels. Here again, Carey stresses the pragmatic character of America’s tradition of federalism, decentralized government, and local self-rule: federalism was not an ex nihilo creation of the Constitutional Convention but something that evolved organically out of the American political experience. Rather than establishing a final and definitive division of powers between the state and national governments, American federalism set down a broad principle whose application was to be argued over and worked out in the course of American historical practice. The obvious question would then be where the required virtue is to be cultivated. Carey maintains that, as Tocqueville recognized, the answer of the American political tradition is that “the responsibility” for its cultivation rests with “state and local governments” and “intermediate associations” such as “the family, church, and [local] communities.” Quasi-autonomous localities provided the soil in which the latter could grow and flourish. Our whole constitutional system thus rested ultimately “on the common values, beliefs, and morality . . . nourished and refi ned within the local constituent units” — in other words, within self-governing townships, counties, municipalities, states, and other corporate groups. The constitutional order established by the founders endured and flourished until recent decades, Carey concludes, only because it was rooted in practices and beliefs nurtured in local communities. Thanks for this, Paul. I've heard Carey's name any number of times but haven't read him. Just curious -- any idea where he comes down on the Jaffa/Bradford debate over Lincoln? Probably closer to the Bradford position. Basic Symbols is generally skeptical of how true Lincoln was to the American political tradition. However, neither Carey nor Kendall, in my experience, shares the detestation of Lincoln that you often see among paleocons. Kendall's review of Jaffa's Crisis of the House Divided, though disagreeing with its core thesis, nonetheless found much to praise in it, not least Jaffa's chops as a scholar, his intelligence and erudition, and his vigor as a writer. I'm not sure what to say about the "wavy and blurry line" between federal and state powers. My impression has always been that the 10th amendment is relatively clear on that and that we could use a much sharper line and have wandered far from the Founders' intent by allowing the national govt. to take over functions not granted to them by the Constitution. But that may make me more Catholic than the pope on this matter. On local and community associations, something occurs to me: Consider the Obama-ites' talk about "community organizing" and the rather unpleasant talk on the Obama website (now made to disappear) about forcing all middle school children to do 50 hours of "community service." It seems to me that contemporary political leftists try to co-opt Americans' trust for local associations, to infiltrate local organizations and associations, and to use these in the service of homogenizing the United States along their own lines--in fact, erasing local morals and replacing them with the morality of the liberal elite. Nothing could better illustrate this than the takeover of "local" public schools. I would guess that once the federal government starts approving particular community service organizations for kids and college students to do their community service (whether mandatory or in return for college money, as the new plan has it) we will see a similar politicization and standardization of local charities and the like. How many of us would really like to entrust our families' well-being to local social services, for example? The truth is that liberals tend to gravitate to many or most do-good agencies, however local, and to remake them in their own image, _unless_ they have an explicitly religious character. I trust reading this book was a source of melancholy for you. Protecting the historical record from ideological corruption is vital, and have no doubt this book is an excellent recounting of neglected truths, but let us admit something painful; works like Carey’s will not serve as the basis for a restoration of a Constitutional order. The necessary framework has mostly vanished under the process of de-Christianization. As Voegelin noted, Liberals operate within a self-constructed “authoritative present” that dismisses all that has gone before, as inferior, backwards and oppressive. To make sure this conceit goes undiscovered, the erasure of memory is the primary function of mass “education”. The forced forgetting of our cultural heritage and ancestral touchstones has left our intermediate associations in varying stages of state-managed dissolution. Local institutions designed to resist the Total State, have either been subsumed or neutered by modernity’s anti-culture, one that is hostile to the Good, the True and the Beautiful. And Constitutional governance is impossible when political power is reduced to an effective instrument for achieving personal gratification. I don’t think it an exaggeration when, as Anthony Esolen, another ISI author, said recently; the illiterate brick-layer at Chartres was better educated and more civilized than the typical victim of 20 years of secular schooling trapped in a frenetic life of non-contemplative busyness. Any solution must therefore begin at the most intimate level within the family home and be grounded in the living out of religious truths. It may not sound sweeping or grand, but Esolen joins Pieper and asks that we recover the Sabbath and celebrate the feast that is Sunday, while slowly recovering the vast body of knowledge, insight and genuine conviviality that has been eradicated from public view. Until we start along those lines, the attempted rescue of even local, but nonetheless badlly deformed political institutions, is but a futile exercise of pouring new wine into old calfskins. Kevin, I assure you that I am aware of the obstacles we face. Nevertheless, our hope is with Christ, who has overcome the world; and I cannot share your despondency. There is too much that is good in this country. If America is to perish then so be it; but until that dark day I will continue to proclaim that the American political tradition is a noble thing that ought to be preserved. Part of the purpose of this website is that project of preservation. I am in full agreement with this statement: "Any solution must therefore begin at the most intimate level within the family home and be grounded in the living out of religious truths." Furthermore, I fully agreed that the recover of the sacredness of the Sabbath is a thing all Christians should dedicate themselves to. "self-governing townships, counties, municipalities, states, and other corporate group" held together by “the common values, beliefs, and morality" mostly a thing of the past, with the last vestiges fading rapidly from view. The lawless, capricious management of the bailout, the unconstitutional wars we've waged, the endless maze of foreign entanglements, unsustainable levels of national debt, and the federalization of our local laws, judiciary and police departments are examples of decrepitude. Many Americans labor under the illusion that they send their kids to neighborhood schools, but when it comes to everything from curriculum to funding it is a top-down affair with very little real diversity or differentiation as befitting a sterile, rationalistic technocracy. Keep the memory of the Republic alive and pose it in opposition to what Americans live under now, but do not pretend it will with just some tweaking, resume normal operations. Resuscitation, not preservation of the American tradition is the real task at hand. I think the American political tradition as outlined in your review [is]. . . mostly a thing of the past, with the last vestiges fading rapidly from view. I know you think that, Kevin. And you may well be right, but a lot hinges on that little word "mostly." Certainly not. Conservative politics for the time being must be, in Oakeshott's phrase, "the politics of repair." Probably closer to the Bradford position. Basic Symbols is generally skeptical of how true Lincoln was to the American political tradition. Agreed. During a visit by Carey to my campus when I was student, I witnessed Jaffa doing his usual routine of taking the speaker to task for promulgating various heresies. A half-dozen clever snares laid for us by the Left could be disarmed, were Conservatives to embrace its theoretical framework. Should you have the time Paul, a couple of examples would be most beneficial. Some think the snares have been there from the beginning, lurking within the texts and ripe for abuse once the religious basis for our system gave way to modernity's mechanical view of man. Would love to learn how we can forestall, if not roll-back, the continuing flow of power and money to distant and deracinated cliques. Do not base your reply on lifting me from "despondency", since I'm not there yet, but standing instead with Patrick Henry; "For my part, whatever anguish of spirit it may cost, I am willing to know the whole truth; to know the worst, and to provide for it." Conservative politics for the time being must be, in Oakeshott's phrase, "the politics of repair." What other kind of politics is there? The law is for lawbreakers. but, for most of us, our determination to improve our conduct does not prevent us from recognizing that the greater part of what we have is not a burden to be carried or an incubus to be thrown off, but an inheritance to be enjoyed. How Carey defined politics differently that Oakeshott may be an informative study, and refreshing after the muddied trails where Bradford and Jaffa raced. Still, if repair is what we're about, we know what we need to do: don't forget to teach your children to practice that instrument, today. And for God's sake, learn to sing. Paul, thanks for recommending 'Basic Symbols' back in November. I bought a copy back before Xmas but only just now have opened it, due to other reading (including the slightly loopy, but fascinating 'Wreck of Western Culture' by John Carroll, which I read twice). 'Basic Symbols' is great and vital stuff, as you say.